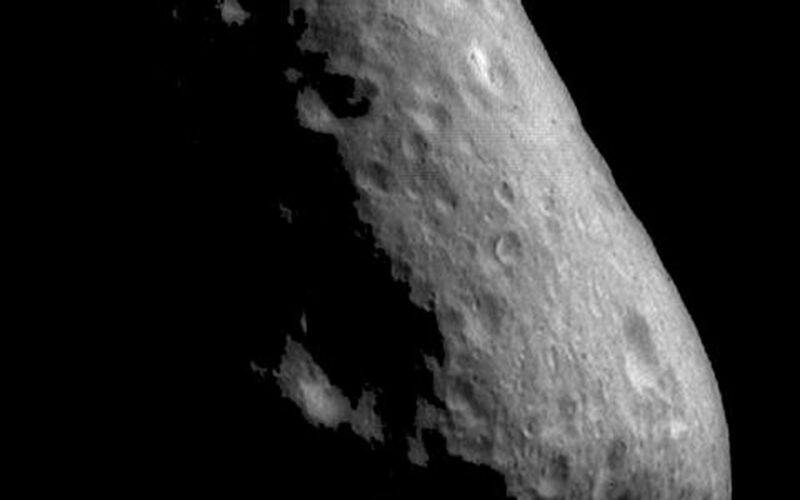 This mosaic of 2 images, showing a cratered region of Eros located at the end of the elongated asteroid, was taken at a resolution of about 21 meters (69 feet) per pixel. A few of the craters show brightness (albedo) patterns on their walls, where the top portions of the walls are brighter than the surrounding terrain. The floors and lower portions of the walls of these craters have patches that appear darker than the surrounding terrain. 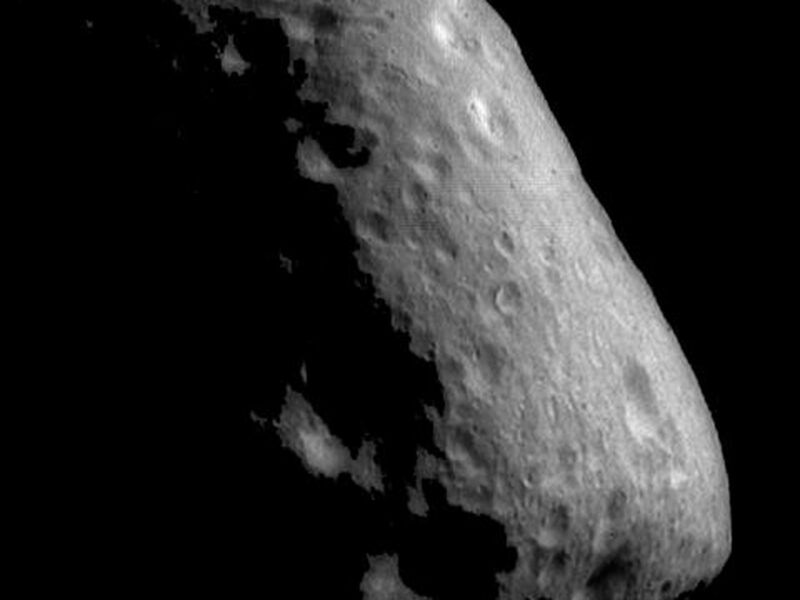 A few boulders are also visible in this region. 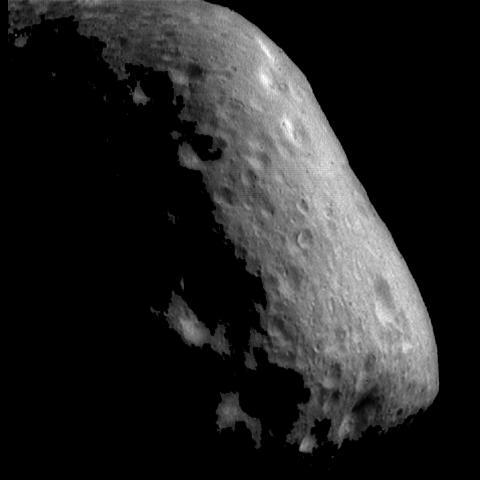 Some shallow, subdued troughs can also be seen trending vertically down the lower part of the asteroid.